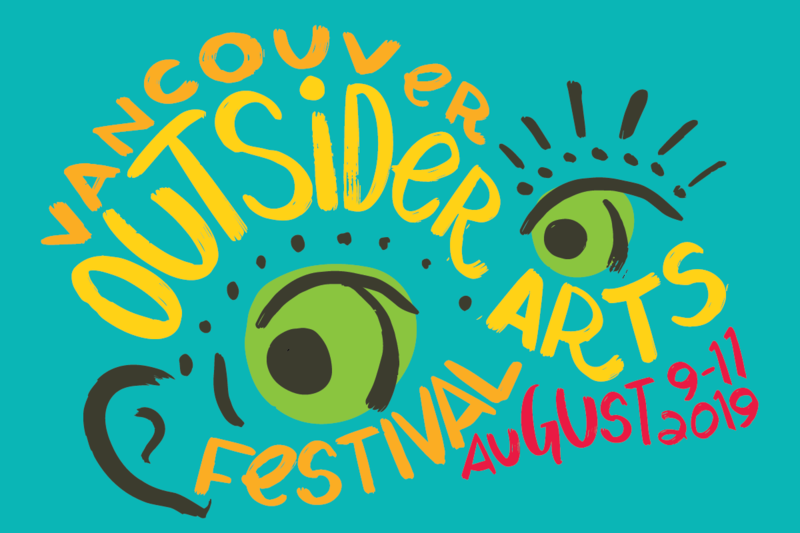 Are you an Outsider Artist 19 years and older residing in Vancouver? Want to share, learn, and connect? Ready to perform/show/sell your work? VOAF is dedicated to supporting self-identified outsider artists who face social exclusion and other visible/invisible barriers to sharing their work. “We are now accepting submissions for the 2019 Festival! At the Regent ParkFilm Festival we’re committed keeping everything that we do free and accessible, including our submission process. Follow the link below to learn more about how to submit your film today! Every year, we welcome films of all lengths and genres that reflect the multitude of experiences that make up our cities and communities. 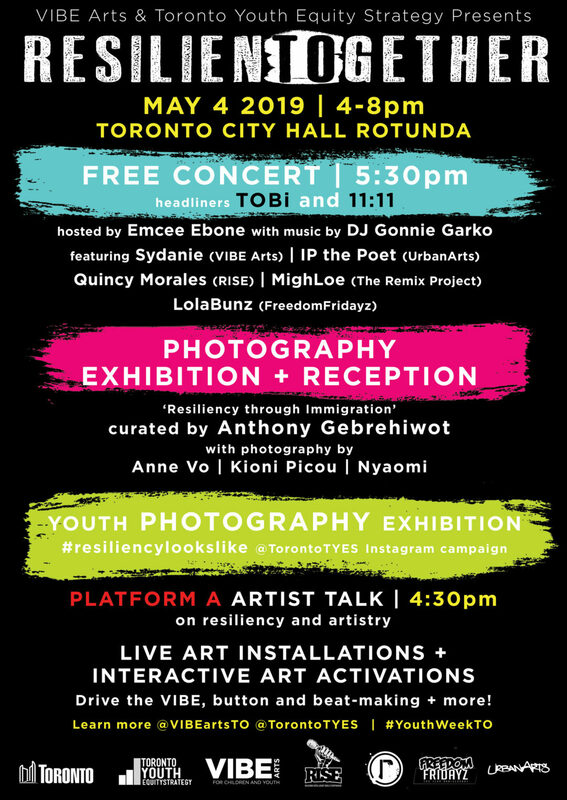 The Regent Park Film Festival is especially dedicated to showcasing works by Indigenous filmmakers, Black filmmakers, and filmmakers of colour, as well as works by trans, queer, female identified filmmakers and filmmakers with disabilities. We encourage local, national and international participation. “Workman Arts is accepting applications for performance work as a part of the Rendezvous with Madness Festival from October 10 – 20, 2019. The deadline for applications is Wednesday, December 19, 2018. Workman Arts is an arts and mental health organization known internationally for its artistic collaborations, presentations, knowledge exchange, best practices and research on the impact of the arts on the quality of life of people living with mental health and/or addiction issues. What is Rendezvous with Madness? Over 100 events at over 40 venues throughout the Downtown Eastside! With a focus on the rich and diverse communities of the Downtown Eastside, the 15thAnnual Downtown Eastside Heart of the City Festival celebrates the creative and committed artists and activists who thrive in the heart of Vancouver. The 2018 Festival features twelve days of music, stories, songs, poetry, cultural celebrations, films, theatre, dance, spoken word, forums, workshops, discussions, gallery exhibits, mixed media, art talks, history talks and history walks. To acknowledge, honour and support our home community’s longstanding commitment to social justice, the theme of the 2018 Festival is “Seeds of Justice, Seeds of Hope.” The Downtown Eastside community has an inspiring history of advocacy for human rights and social justice. DTES-involved artists, residents and citizens of Greater Vancouver have much to learn from our community’s history and accomplishments as we move forward to create artistic activity that speaks to today’s vital concerns and burning issues. Sarasvàti Productions is accepting submissions for its 17th annual FemFest, which will take place in September 2019. For more information please visit: Sarasvàti Productions’ website. Read Sarasvàti Productions’ profile in ArtBridges’ Community-Engaged Arts Directory and Map. 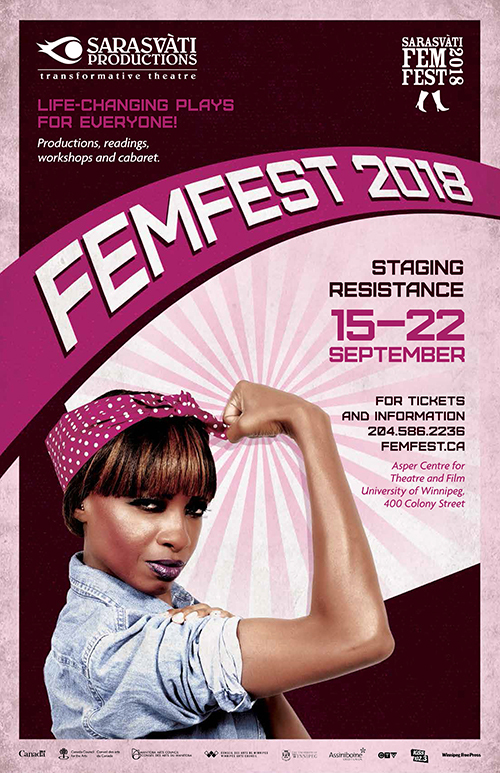 “Sarasvàti Productions presents FemFest 2018: Staging Resistance! The 16th annual festival features life-changing theatre for everyone and will feature performers from Toronto to Morocco plus a new art walking tour. Experience the powerful blend of Indian dance and theatre, hear from DIY theatre-maker Norah Paton, and take in an award-winning performer Donna-Michelle St. Bernard speaking truth to power using spoken word, storytelling and hip-hop. At FemFest 2018: Staging Resistance, the stories of brave and diverse performers take centre stage. Whether you see one production or the entire festival, you are sure to leave with a new understanding of what it means to embrace individuality. La Civilisation, ma mère based on the novel by Driss Chraïbi, adapted by Emilie Malosse with L’aparte Theatre and Compagnie du jour. 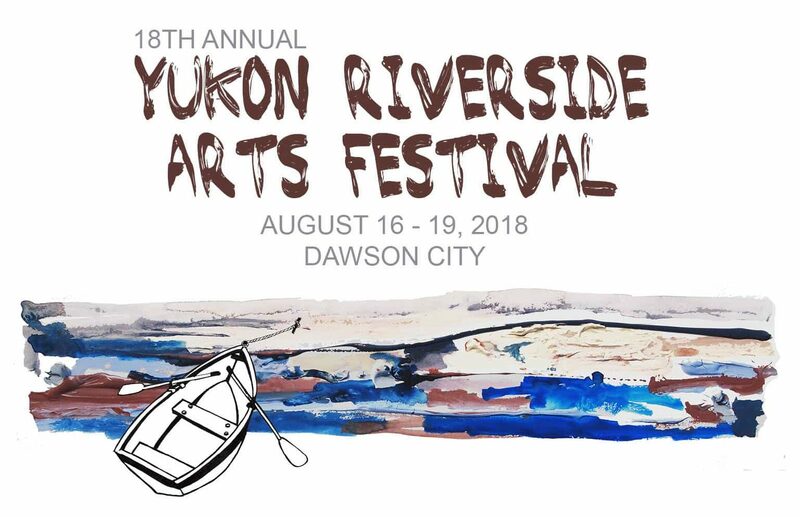 “The Yukon Riverside Arts Festival takes place in many venues around Dawson City on Discovery Days weekend, particularly the open-air Riverside Park & Gazebo. 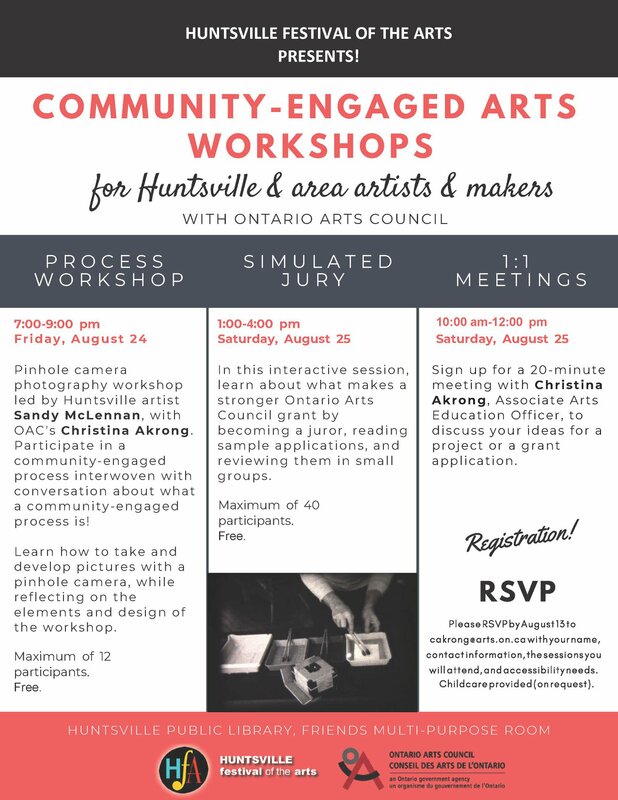 The festival aims to provide an accessible environment for community members and visitors to interact directly with the arts and explore their creativity. We welcome artists practicing traditional and non-traditional contemporary art from the Yukon and abroad presenting a wide range of events, including exhibitions, workshops, lectures, public art, live music, an art market and more. Most festival events are free of charge.